I recall that one summer in college Maggie spent her summer taking something like 1000 3 point shots a day. She has a work ethic for sure. McGee-Stafford played the first twelve games or so in China with Beijing before Fowles showed up to take the spot. Since then she's put out a book of poetry and she's currently doing some NBA Cares stuff at the All-Star Weekend, but I don't think she played basketball anywhere. She's now in Lebanon for their playoffs. So - now we know what was behind door No. 1 last week. Thanks for posting. Great to see her working on her game. Hope she makes the team. Guess she plans to play basketball for a while now. She can go to medical school after her basketball career is over. She will still be a young woman and can forge a new future for herself with some money in the bank to help her along her new journey. 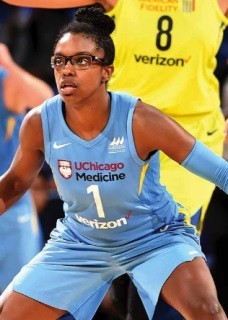 I'm jealous of how loaded with talent teams like Atlanta are, while the team I'm a fan of (the Lynx) are all but guaranteed to end up in last place in the WNBA this year. Oh Space Jam, you probably say that about all the other teams. But don't worry - if you do finish in last place, you can still trade draft positions with Seattle next year. 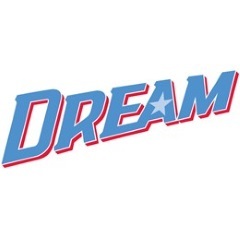 BTW - Dream having a get together at Angel's Ice Cream Parlour Friday next week in lieu of a draft party. I wonder what Flavor No. 16 will be? j-spoon with too much time on his hands again. J-Spoon. You have out done yourself. Not only creative with trades, but ice cream flavors as well. I'd give you several thumbs up if we had that emoji or whatever they call them. Dream have signed Yelena Leuchanka to a training camp invite. Might stick is she's 100%. Biggest void for the Dream is a PF. I thought we got rid of her years ago. Who's next - Celine Dumerc? above you've got 9 with the last 3 being Leucahnka, Elonu, Lucas, #16 and #28, (unless I'm missing someone). You could theorhetically just take the players and waive the draftees and you end up with what you have above, that seems pretty reasonable. I hope you are wrong. I don't see the point of bringing in players like Elena and Elonu. But, what do I know?